TV adaptations of movies are tricky. For every high quality hit like M*A*S*H, Buffy: The Vampire Slayer, and Friday Night Lights—shows that actually justify the cash-grabbing move by studio execs—there are several more, like Blade: The Series and Planet of the Apes, that wind up being flimsy husks that barely resemble the brilliance of their movie counterparts. Actors get recast, plots get watered down, and budgets get slashed by penny-pinching executives. Simply put, whenever one of these TV shows debuts, it’s always best to put it on mute and pick up a good book. 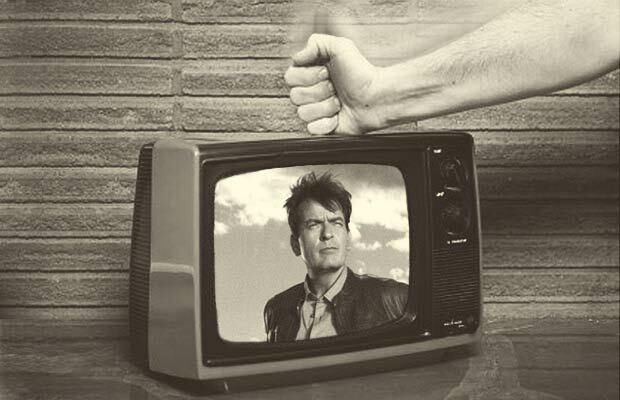 The latest show to enter this generally cringe-worthy pantheon is FX’s Anger Management, starring none other than Charlie Sheen. Based off of the 2003 comedy that featured since-fallen star Adam Sandler and Jack Nicholson, this show follows a therapist (Sheen) whose own rage issues curtailed a professional baseball career, and it could potentially be the rare movie-to-TV translation that doesn’t make us want to rip our hair out by the roots. But before you check out the premiere of Anger Management tonight at 9 p.m. on FX, take a look at how bad it could potentially be with our list of The 10 Worst TV Shows Inspired by Movies.